According to WTRMLN WTR, Watermelons are 92% water. 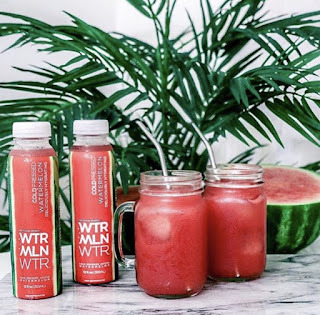 In order to make this hydrating water, the naturally electrolyte rich water is squeezed directly from the watermelons and bottled. 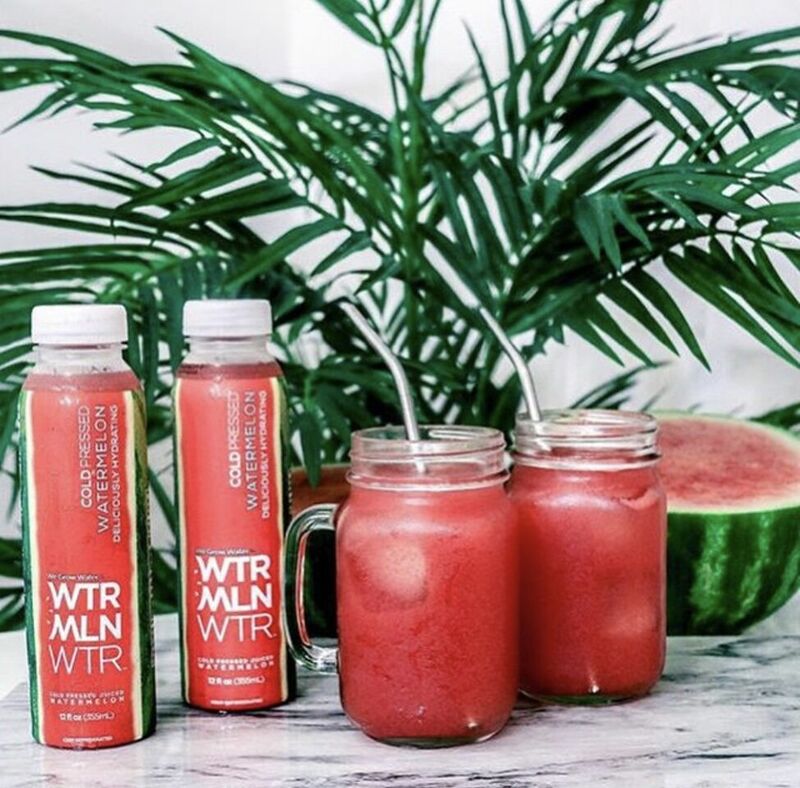 There is no added sugar, just straight watermelon water with added flavors such as mint, cucumber and cayenne. Perhaps the coolest part about WTRMLN WTR, besides its name, is it's back story. Co-founders Harlan Berger and Jody Levy put together this refreshing new company in order to fix an environmental food waste problem. They wanted to do something with the "discard" melons farmers just get rid of. These perfectly good watermelons, that didn't fit the cosmetic needs of the food industry were just going to waste. Levy and Berger decided to squeeze these melons and gather the delicious water/juice that comes out. I had the opportunity to try several flavors. I enjoyed all of them except for the Cayenne, it just wasn't a flavor for me. The most refreshing flavors were the Watermelon Cucumber and the Watermelon Mint flavors. I do have to point out that just, because they have no added sugars, doesn't meant they are sugar free. They have 12 grams of naturally occurring sugars each bottle, which is actually quite high for a water drink. My husband who is diabetic, is unable to drink these. However, as long as you are not diabetic and you drink these in moderation, they make for a refreshing summer treat! 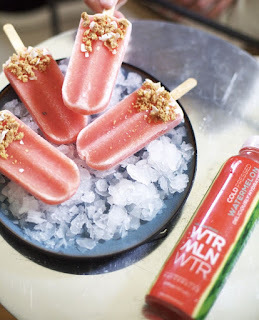 Celebrate National Watermelon Day with WTRMLN WTR recipes! Puree 1 cup of chopped WTRMLN slices with ½ cup WTRMLN WTR and pour into popsicle molds so molds are 2/3 full. Freeze for 30 minutes and pour chilled cocnut milk on top of frozen watermelon blend. Top with remaining watermelon slices and freeze for an additional 30 minutes. Rinse molds under warm water to release popsicle and enjoy somewhere near a pool or beach. 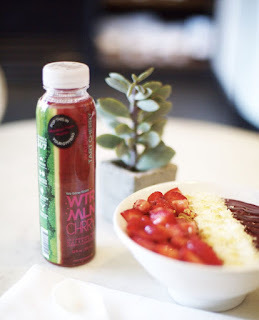 1 frozen acai berry packet or your own acai blend. 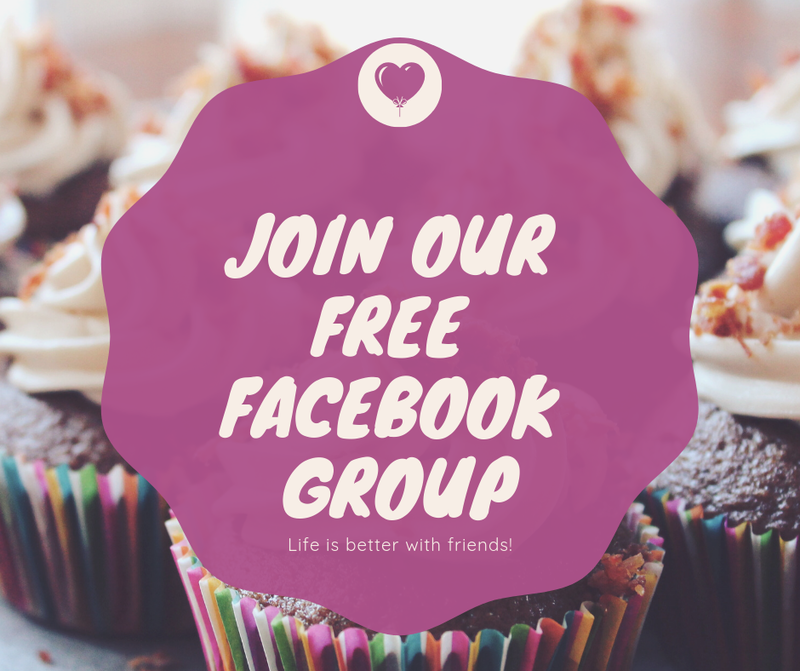 1 tablespoon raw cacao powder or unsweetened cocoa. Add all ingredients to a blender and blend until smooth. Top with your favorite granola, coconut, or fresh WTRMLN slices. Enjoy with a smile.